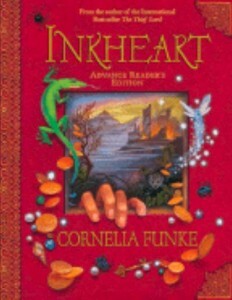 “Inkheart” by Cornelia Funke has been chosen by the children of Hawaii as the winner of the 2009 Nene Award. An announcement was made this morning before a large crowd of invited dignitaries, students, teachers, and other guests at the 44th Annual Nene Award Presentation Ceremony, conducted at the Windward Community College Paliku Theatre. The Nene Award is presented to the favorite fiction book based on a vote by the children of Hawaii in grades 4 through 6. This year, a total of 7,550 children statewide cast their ballots at 105 public libraries or school libraries. 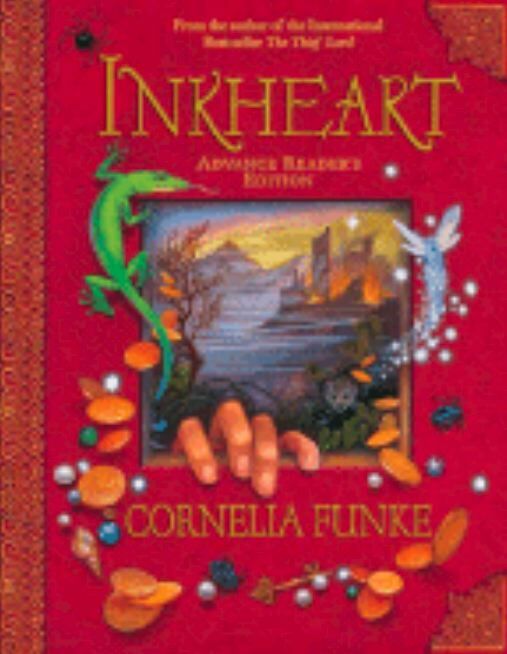 “Inkheart” is the story of 12-year-old Meggie, who learns that her father has been keeping secrets. He can “read” characters out of books. When a mysterious stranger arrives, Meggie is plunged into intrigue as her father’s life is put in danger. “The City of Ember” by Jeanne DuPrau is the runner up for this year’s award, and will receive the 2009 Nene Honor Book Award. This story features another 12-year-old, Lina, and her friend Doon, who are determined to save their doomed city, an underground refuge built for the human race more than 200 years ago. Rick Riordan, author of the 2008 Nene Award winner “The Lightning Thief,” was not able to attend the ceremony but sent a DVD of his acceptance speech which was viewed by the audience. 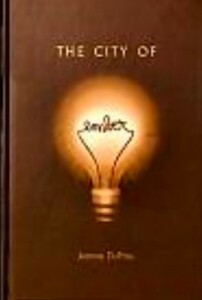 “The Lightning Thief,” which is the first title in the “Percy Jackson and the Olympians” series, mixes classic Greek mythology with modern adventure as 12-year-old Percy battles Greek monsters, and meets his father, Poseidon (the Greek god of the sea), and other characters from Mount Olympus. Essay contest winners include: Grade 4: Sydney Costales, Maryknoll School; Grade 5: Marissa Kauppi, St. John Vianney Parish School; Grade 6: Grace Franco, Kaneohe Elementary School; Honor – Mitchell Ho, Kaneohe Elementary School. Poster contest winners are: Grade 4: Maile Griffin, Maryknoll School; Honor – Kadon Nakano, Maryknoll School; Grade 5: Diana Sapigao; Honor – Naomi Nakasone, Mililani Ike Elementary School; Grade 6: Travis Kim, Punahou School; Honor – Cristina Kaleikini, Kapolei Middle School. The winning posters were on display during the ceremony. Digital Arts contest winners include: Grade 4: Alison Wu, Channen Dunn, Zachary Choo, Maryknoll School; Honor (1 of 2) – Taylor Takemoto, Cristen Kramer, Maryknoll School; Honor (2 of 2) – Brandon Stone, Jillian Hackman, Michael Yee, Maryknoll School; Grade 5: Blythe Ballesteros, Mililani Ike Elementary School; Honor – Keri Togami, Kianni Martinez, Lauren Mooney, Mililani Ike Elementary School; Grade 6: Elizabeth Guhl, Kapolei Middle School; Honor – Kayla Lewis, Karanina Martinez, Algeo Rosario, Pearl Harbor Elementary School. Performance contest winners are: Grade 4: Kevin Durkin, Emilio Talavera, Logan Ventura, Maryknoll School; Honor – Nathaniel Coleman, Christine Lee, Wendy Mun, Maryknoll School; Grade 5: Kai Canevaro, James Morris, Kristina Lastor, Maryknoll School; Honor – Elizabeth Baker, Vanessa Roybal, Dayni Wada, Mililani Ike Elementary School; Grade 6: Ayanna Woods, Dasia Swilley, JP Oishi, Pearl Harbor Elementary School; Honor – Gabriel Elacion, Jayson Aurelio, Nathen Nugent, Pearl Harbor Elementary School. Scholastic Book Fairs representative Tamar Nite presented each contest winner with a copy of “Inkheart” and a goody bag. Ceremony attendees celebrated “The Lightning Thief” theme by viewing Windward Community College’s Science Center, and the Hokulani Imaginarium, a high-tech planetarium, and multi-media facility. The annual Nene Award program is sponsored by the Hawaii State Public Library System, Hawaii State Department of Education, Hawaii Association of School Librarians, Hawaii Library Association, Hawaii State Teachers Association, Perma-Bound Books, Barnes & Noble Booksellers, and Scholastic Book Fairs. The 2009 Nene Award Committee Co-Chairpersons are Sherry Rose, Pauoa Elementary School Librarian, and Virginia Koo, Maryknoll Elementary School librarian. For more information, please visit the website: nene.k12.hi.us.